Fresh on the nose with a fruity start - apricots, hints of pineapple and subtle lemons. Then sweet notes of vanilla arrive, nicely intermingling with cereals (porridge-like), tender herbs and a whiff of tobacco smoke in the back. The alcohol is noticeable but not pungent at all. Bold and intense on the palate. Starts with a creamy sweetness of vanilla and malted barley, followed by apricots, oranges and lemon zests. Then warming with oak, white pepper, mint, and heather honey in the back. There's a hint of herbs towards the finish, nicely wrapped in tender tobacco smoke. Rich and mouth-coating. The finish is medium-long, warm and creamy with acacia honey and oranges. Becomes drier on the tail with spiced oak, cloves and a whiff of smoke. Clean and fresh on the nose when a few drops of water are added. There's more citric fruit coming through while vanilla and cereal notes are tamed. More oak spice with a whiff of tobacco smoke in the back. Wow - fairly spicy on the palate with cracked black pepper, oak, tannins and cloves. The delicate sweetness and fruity flavours are almost completely gone while a touch of smoke lingers in the back. The finish is short, slightly warm with creamy vanilla and subtle smoke. No fruits anymore. 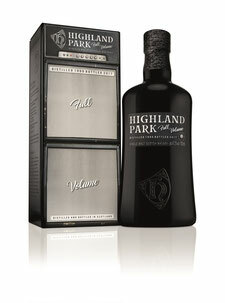 A completely different, official bottling of Highland Park - without sherry cask maturation. And that's exactly what makes it so interesting for me, because the delicate yellow fruity flavours are very well balanced with the vanilla and cereal sweetness, surrounded by spiced oak and light tobacco smoke. When adding water this dram gradually loses its sweetness and more and more spices from the bourbon barrels come to the fore. A really enjoyable bottling, completely different from HP's usual core range.